Business credit card benefits vary, but for your small business can help fund your growth and success. With this type of flexible capital, your business can take advantage of special opportunities to invest in inventory, advertising, marketing and staffing as well as managing your cash flow. Business credit cards fall into two categories: small business and corporate credit cards. Your business profile will likely determine which type of a credit card is most advantageous for you. A small business credit card is very similar to a personal credit card. When you apply for one, the issuer will check your personal credit. You, as the business owner, are personally responsible for repaying the debt on the card. If your company has a separate business credit file, the credit card issuer will review that as well. As the business owner, you have the option of designating some of your employees as authorized-users on the account, at a nominal or no cost fee by the credit card issuer. However your employees are not responsible for the bill, rather you are as the account holder. Even if you set spending limits on the employee credit cards, it is a risk to your personal and business credit. Prudence and discipline should be your guidelines for authorizing employees as authorized-users on the account. There are a variety of issuers of small business credit cards. Due to the competitive market, the majority of these types of credit cards have reward programs for spending on common business expenses, such as office supplies and telecommunications services. Whether the rewards are cash-back. travel, etc., you as the business owner get to decide how best to use these rewards benefits. As your small business grows your management needs will change as well. Your business will have more employees, more invoices, more accounts receivable, more revenue, more financial history, etc. And you may have too many authorized users on your small business credit card. It may be the time to change from a small-business card to a corporate credit card. A corporate credit card is designed for million-dollar corporations. Unlike small business credit cards, corporate credit cards do not require a personal guarantor. To obtain a corporate credit card, a corporation turns over its tax information and corporate financial records to the credit card issuer for review. The corporation remains responsible, rather than a specific individual, for any failure to pay its credit card obligations. Individual Liability – Employees must pay all charges on the card, and they get reimbursed when they submit their expense reports to accounting. The credit card issuer will check the employee´s credit before giving him/her a card. The big drawback of individual liability is that employees have to wait to be reimbursed for any charges they make on behalf of the company. Individual liability programs are less common than in the past. Corporate liability – The company is responsible for paying the bill. The credit card issuer doesn’t check the employee´s credit. Employees file expense reports so the company can reconcile charges with the card statement each month, but the employee doesn’t have to pay the bill upfront. Reduced Personal Risk – Corporate cards are issued on the basis of the your business´ financial strength, not your personal finances.. Your business will require strong financials, a strong balance sheet, profitability, strong cash flow and liquidity. Ability To Set Limits – Corporate card card programs let you and your managers set limits on the amount of spending and the categories in which employees can spend. Normally companies forbid personal use of a corporate credit card. Your setting spending rules will be critical to your business success. Personal Credit Not Effected – Because the company is liable for payment, issuers don’t report corporate card activity in the employees’ name to the credit bureaus. Employees don’t have to undergo a credit check. No Personal Liability – Whether it’s a small-business card or a corporate card with corporate liability, ultimate responsibility lies with the business, not the employee. Employees’ responsibility is to file their expense reports accurately and on time so the employer can manage the use of credit cards. No Reimbursement Delay – With corporate liability rather than individual liability now the standard, employees with corporate cards aren’t required to essentially lend their employers money by paying business expenses out of pocket, then waiting to be reimbursed. 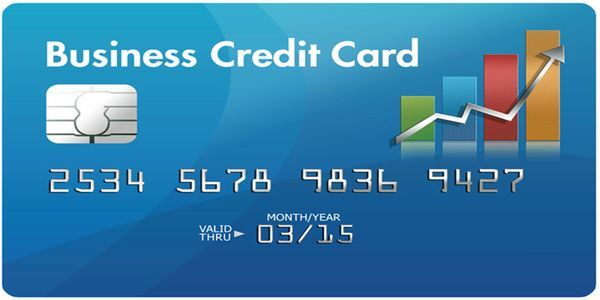 If your business is making over $4 million in annual revenue, has good business credit, will have 15 or more employees getting a card, and you expect to charge $250,000 or more in a year, you should consider a corporate credit card. Business credit card benefits vary upon type and how they are used by a business. Of the business credit card benefits, the most important is the access to working capital, without restrictions in how it is used. There are significant differences in liability for the business owner. The selection of which type of credit card will be dependent upon the financial size of the business and level of liability risk to the business owner.